ISOVER Students Contest 2009 was a breakthrough for our design team, taking 1st place at the national level and a Best Presentation mention at the international level. 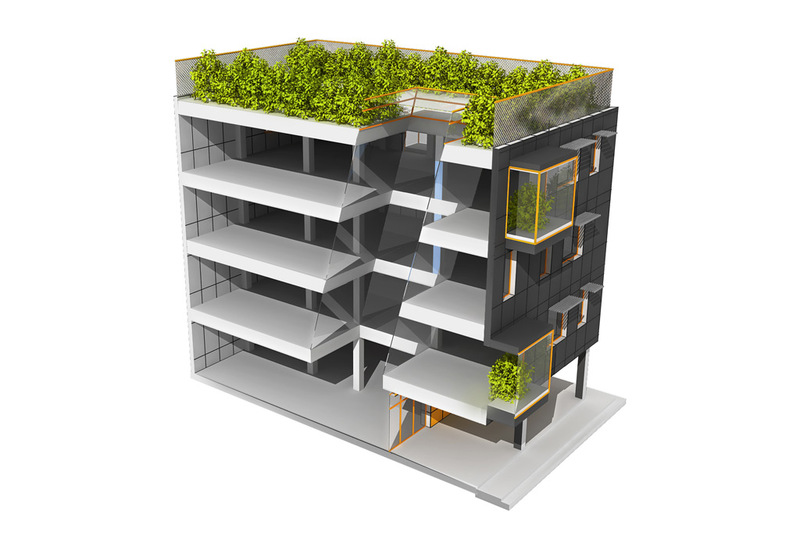 The theme requested the design of the national office building for ISOVER with Passive House standards. Thus we kept to a compact form, minimising the heat loss, and used the site itself for power-generating, shading and air conditioning. The greenhouses on the facade are used to filter air in summer and humidify the air in winter, acting also as very good “time out” areas. The top terrace has also been used as a garden roof, thus enhancing the “green percent” of the whole site and providing a better insulation for the top level.